In the public utilities sector, the specialists in the departments work with different specialist applications and databases. In order to ensure the flow of information between the individual system components, these must be networked by means of complex interfaces equipped with logics. Often the task is solved using a number of direct point-to-point connections. However, such an architecture requires a great deal of implementation, maintenance and development work, since each application manages the information in a different format and in different structures, and information exchange is bound by business rules. 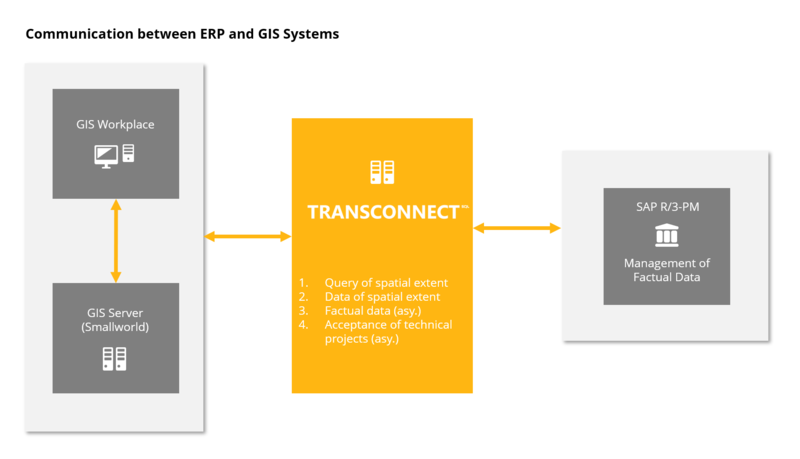 With TRANSCONNECT®, one central integration platform replaces costly point-to-point connections. It is no longer necessary to program and maintain interfaces in the end systems, because the end systems can be flexibly accessed via configurable adapters or services. 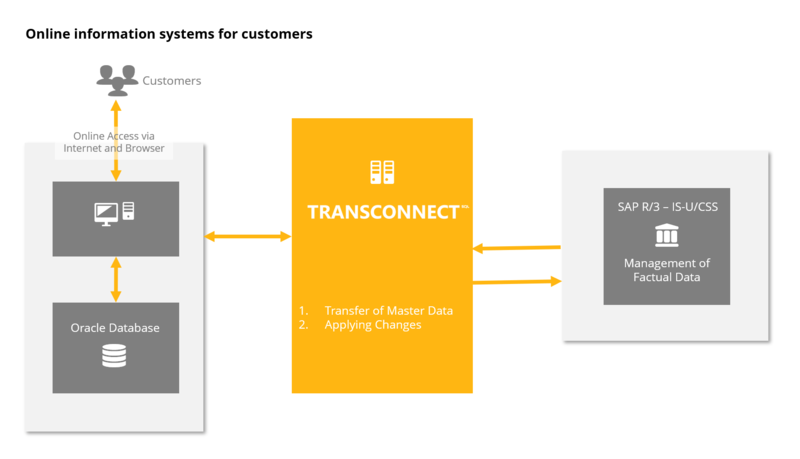 Data transformations and business rules are stored centrally on the TRANSCONNECT® integration server; they are no longer scattered across all systems in the company. Applications share the same data (such as customer base data). This eliminates the need to store data in several databases, which often results in inconsistent and redundant data sets.